Sweet, salty and so refreshing. This salted watermelon salad will blow you away!!! If you haven’t tried salted watermelon yet you are in for a treat. The sun is shining, the sky is a deep almost turquoise blue, the smoky smell of BBQ fills the air and all you can hear is the soft murmur of friends chatting. A weekend backyard get together, is there any better way to spend a Saturday than outside with friends and family? The table is covered with delicious platters of food, couscous salad, pasta salad, coleslaw, fresh baked bread, apple cider grilled chicken, homemade hamburgers, some tender lamb chops and a big platter of salted watermelon. So much food and so many friends to enjoy the day with. Salt on watermelon surprises people, but you watch as your friends try it and their look of curiosity turns to a look of surprise and then develops into a giant grin. So sweet, so juicy and so unexpected. So many compliments come your way and you know that everyone you care about is having a great weekend. What could be better than that? Why put salt on watermelon? 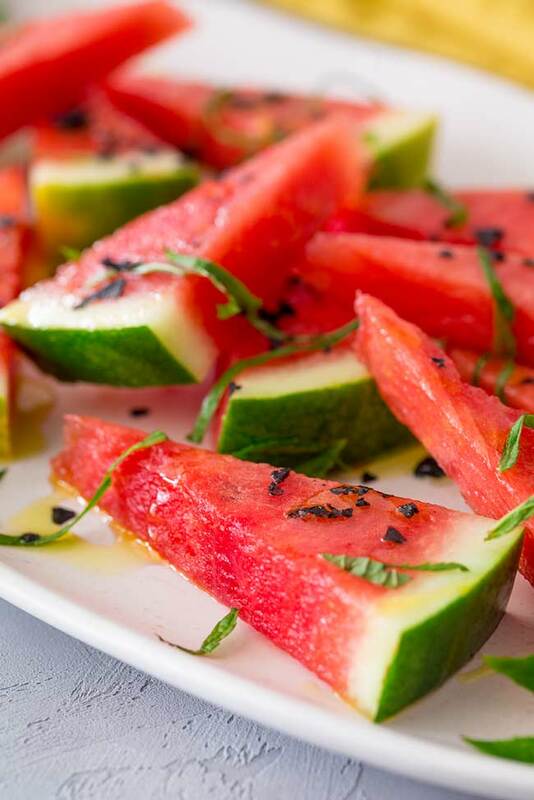 The salt on watermelon enhances the sweetness, it just brings out the flavor, creating a salty sweet contrast. The amount of salt you add is up to you. I like a good amount of salt, some people will prefer a merest sprinkle. But the type of salt….well this is the time to break out the best salt you have. I love to use black salt, the colour contrast just makes me smile, but a pink salt or a good flaky sea salt works just as well. Please don’t use the free flowing table salt. It doesn’t have the wonderful tang on real salt, you’ll end up with a metal taste and that just ruins everything! Why not pin this recipe for this Salted Watermelon with Olive Oil and Mint for later. Pin it here. Sweet, salty and so refreshing. 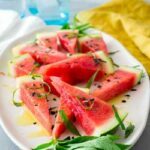 This salted watermelon salad will blow you away!!! If you haven't tried salted watermelon yet you are in for a treat. 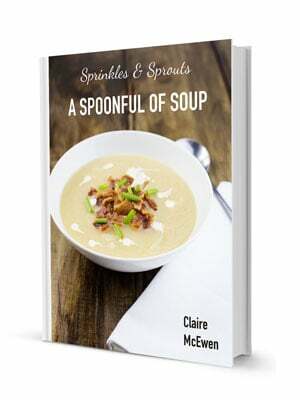 A great summer recipe! Cut the watermelon into small wedges. 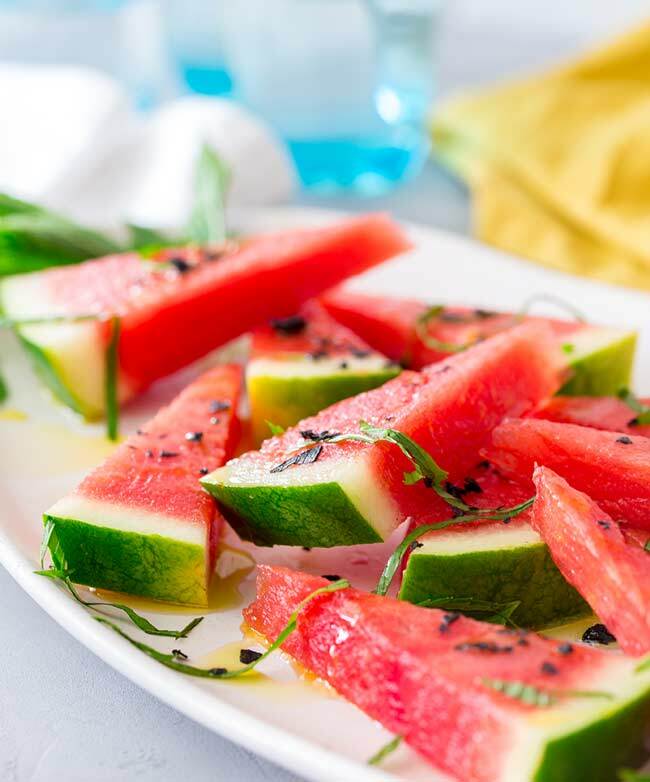 Arrange the watermelon wedges on a large plate or platter. Drizzle the watermelon with the extra virgin olive oil. Sprinkle the black salt on the top. Scatter the shredded mint leaves over the watermelon. 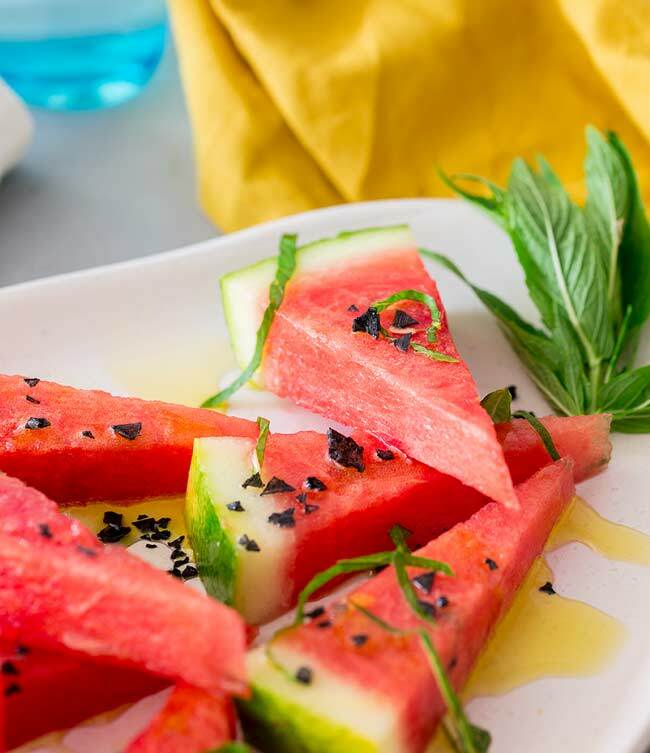 If you love food why not subscribe to my newsletter, I will drop you an email every now and then, just to say hi and send you a couple of recipes think you might love, like this Salted Watermelon with Olive Oil and Mint. Love the touch of mint. Thanks for sharing. My mother-in-law loved salting her melon so I knew I’d love this recipe before I even tasted it! Now it will be a regular on our summer recipe rotation—so delicious! Mint grows like crazy doesn’t it!!! I have eaten salt on watermelon before, but I really love you used black salt here. I will definitely give it a try! The photos look amazing! I love watermelon. How refreshing alone it is its wonderful but with mint too that sounds like heaven on my plate. I will love this on a hot summers day! It really is such a refreshing summer platter. I love it so much. Tis the season for eating watermelon!!! Absolutely love it!!! Ugh, you’re speaking to my soul right now. Watermelon, mint and salt is just a combination to die for. Your version looks absolutely gorgeous!! A new way to think about watermelon for sure. Bookmarked until they are back at our farmers’ market. Interesting idea! Deliciously. This recipe is perfect for me and my family. I LOVE how easy and delicious this is! Love everything about this recipe! thank you. 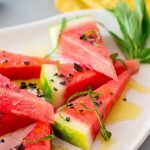 I just love a good slice of watermelon, but I’ve never tried it with olive oil. I must try!